Today. This image was produced from the very last set of brackets I captured on my road trip to northwest canada. This was taken as the sun was setting behind us. As I mentioned in an earlier post, trying to capture a sunset shot while driving east is a rather difficult process. Eventually we spotted this tree, and I knew right away it would make a great foreground subject. It didn't dissapoint. 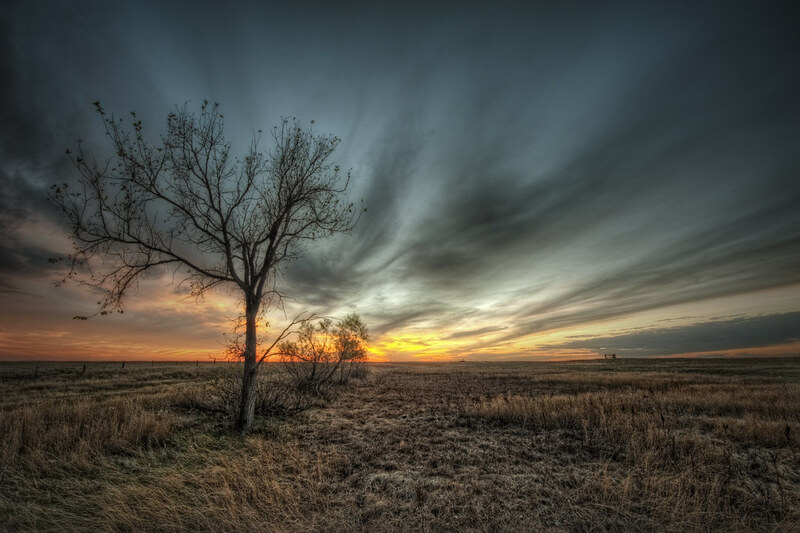 A sunset just off the highway in South Dakota. This is just stunning! Love how the high weeds are blown around and flattened. Well done my friend! Instant fave. Great shot, my friend! This is fantastic. I love how it looks like the the sunrise is going to "color in" the rest of the photo. This is beautiful. Nice work! I think this is my favorite from your trip photos. Absolutely beautiful work. Beautiful Image! It makes you feel like you could wlk into the distance forever. Really nice - not over done.